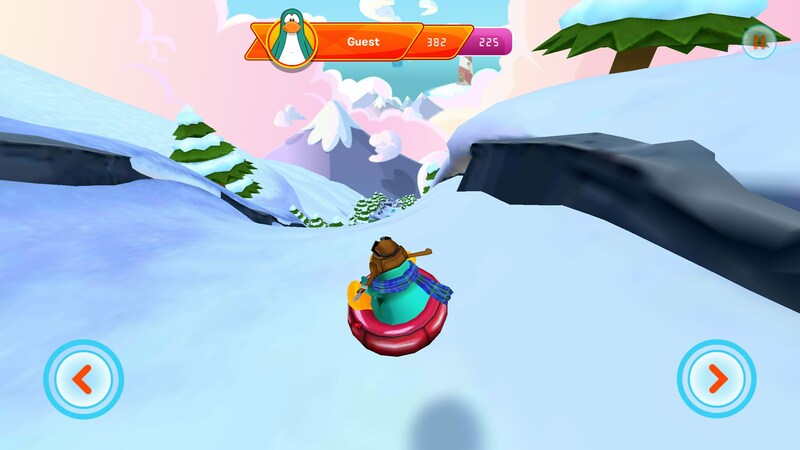 Club Penguin Sled Racer – Games for Android 2018 – Free download. 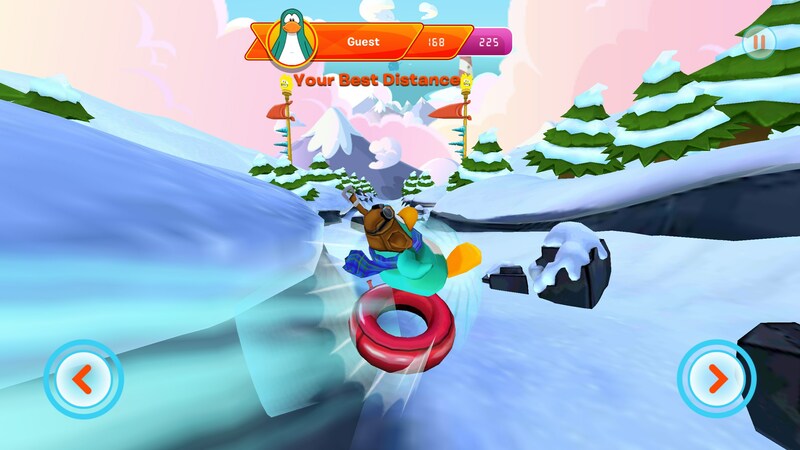 Club Penguin Sled Racer – Slide a penguin down an icy mountain. 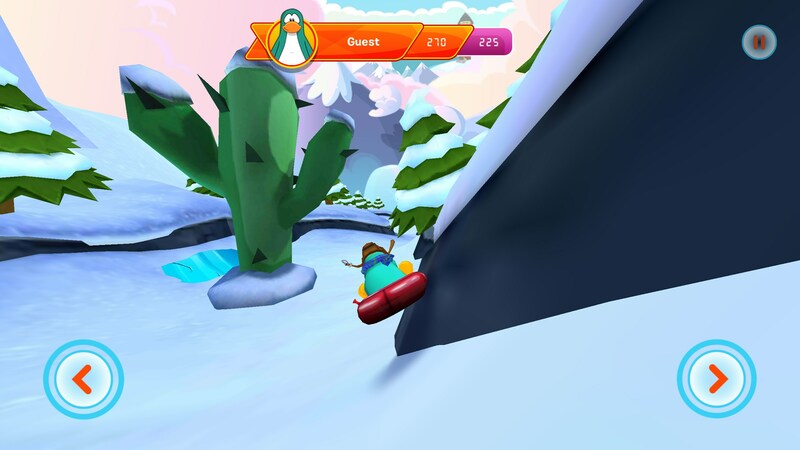 Club Penguin Sled Racer is a downhill tobogganing through a winter wonderland sort of game. 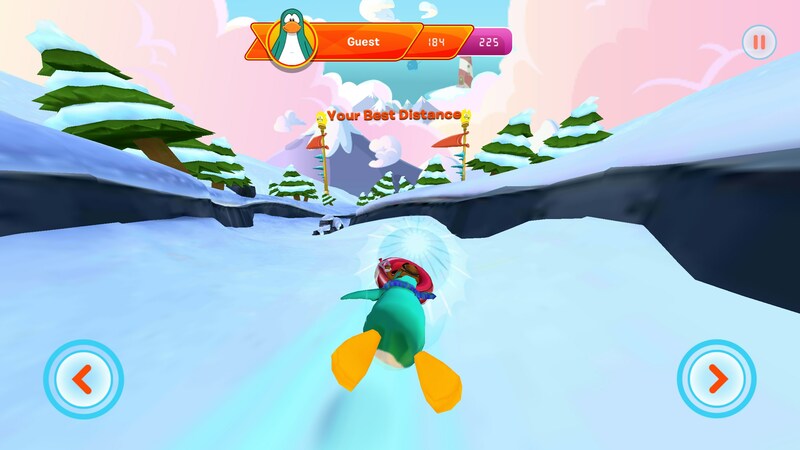 If you love penguins, then you'll probably love this app; and if you don't, then perhaps you just like need for speed sort of games. Either way, this one is fun enough and worth checking out. 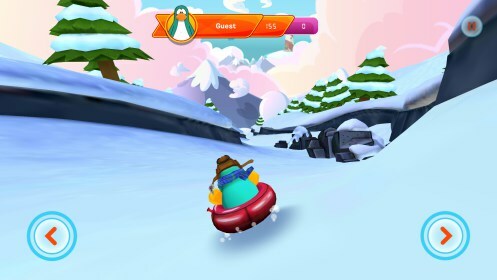 Right off the top, this one nags you constantly to create a Club Penguin account with Disney, and naturally, also wants to sell you a premium membership with the promise of oodles of fun to follow. Weather you join or not, you can still have plenty of fun with this app for free. 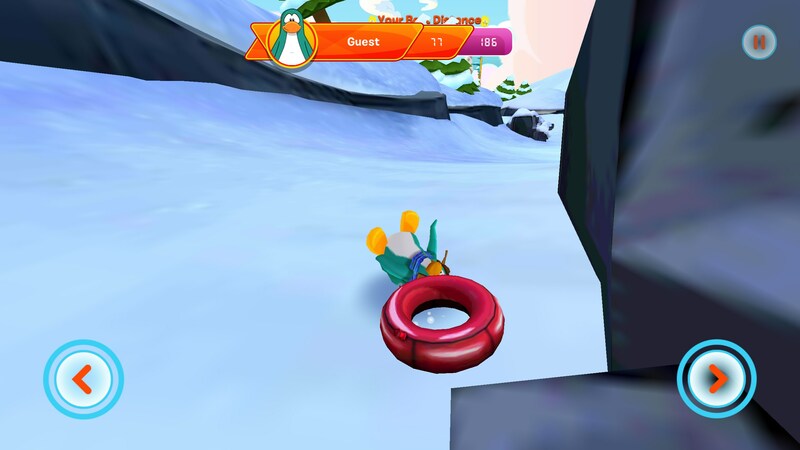 Basically, it's just a downhill race, placing your cute little penguin atop an inflated inner tube. From there, you slip, sliding away down this mountainside, and all you gotta do, is not face plant directly into any obstacles. Naturally, the track is laden with obstacles to avoid, the most nonsensical of which being the Arizona style cactus smack dab in the middle of this winter wonderland. The controls place left and right arrows on either side of your screen, and were effective, but took some getting used to; they feel a tad jittery and over responsive by design. The graphics look like something you'd see on the Disney channel, with cartoon animation quality visuals that are lively and entertaining. The animation offers excellent illusions of speed and definitely hits the mark. The sounds are ok, but could just as easily be muted. Club Penguin Sled Racer is good fun, and my favorite part, is hitting the go-fast ice slicks. All I can say, is hang on to your flippers and have fun.